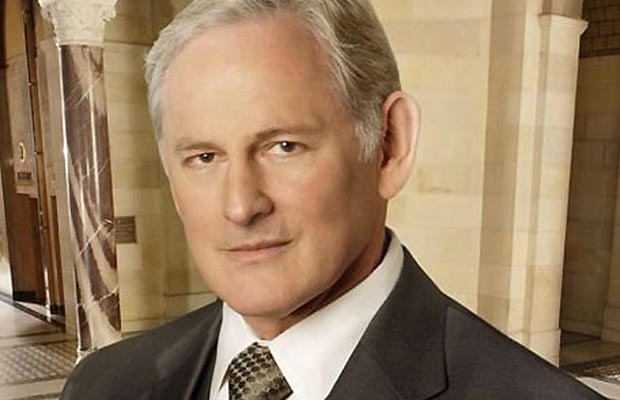 Actor and singer, Victor Joseph Garber was born on March 16, 1949, in London, Ontario to Joe Garber and Bessie Hope. At the age of twelve, he was diagnosed with Type 1 Diabetes; however this never dissuaded him from going after his dreams. Right from a very early age, he displayed a passion for acting which he started pursuing from the age of nine. He later went on to study at the University of Toronto’s Hart House when he turned fifteen. As a child he formed the group, “The Sugar Shoppe”, which earned significant amount of attention and even garnered performances on shows like, “The Ed Sullivan Show” and “The Tonight Show”, before eventually splitting up. Soon afterwards in 1972, Garber was offered the lead role as Jesus, in “Godspell” in the Toronto Production. His performance was so convincing that he was soon casted in the movie as well. However, following that, he focused mainly on his work in theatre, establishing himself as a highly acknowledged and notable actor. Some of his major works on stage include; “Arcadia”, “Deathtrap”, “Present Laughter”, “Assassins”, “Sweeney Todd” and “A Little Night Music” amongst others. His performance in “Follies” in 2007, was especially rewarded with immensely positive reviews from critics. In short, he has been a favorite both with the audiences and critics, earning a total number of four nominations at the Tony Awards for his work in theatre. Alongside his work on stage, Victor Garber has appeared in numerous movies as well. One of the roles he is most famous for is that of the shipbuilder, Thomas Andrews, in James Cameron’s movie, “Titanic” in 1997. Following that, he appeared in movies like, “Sleepless in Seattle” in 1993, “Annie” in 1999, “Legally Blonde” in 2001 and “Tuck Everlasting” in 2002. Known for his talent and versatility, Garber is also a leading actor in television series. His first regular television show came in 1985, titled “I Had Three Wives”. He earned an Emmy nomination for his work in the lead role of the television movie, “Liberace: Behind the Music” in 1988. One of his more famous roles in television is that of Jack Bristow, in the show, “Alias”. In the show, he played the part of an emotionally withdrawn father who is concerned about the safety of his daughter. His work for the show has earned him three nominations at the Emmy Awards for “Outstanding Actor in a Drama Series” and a Saturn Award in 2003. After the end of “Alias”, he was offered the role of Ron Trott in the drama series, “Justice” in 2006 and also the role of Jordan Wetherby in the show, “Eli Stone”. In 2009, he accepted the role of “Sinestro”, a supervillain, in the animated movie, “Green Lantern: First Flight”. Even though he also appeared in the movie, “Star Trek” as an interrogator, his scenes were not included in the final version of the movie. Some of his more recent work includes the movie, “Argo” in 2012, where he played the role of Canadian Ambassador, D. Taylor, sent to Iran. In his personal life, Victor Garber has mostly avoided being in spotlight and prefers to keep a low profile. In 2012, he talked openly about his homosexuality and has claimed that even though he doesn’t talk about it, everybody generally knows. He resides in New York with his partner Rainer Andreesen.